Q&A Weekends: What challenges do you face practicing what you preach? MBA343 Q&A Weekends: What challenges do you face practicing what you preach? This is a tough question for us but let’s face it, this is something that we all face. It’s tough to answer because we speak and teach daily for the show, The $100 MBA, in Webinar Ninja and even outside our business. Hopefully, we’ll shed some light on this topic just for you guys. So let’s get into it! Click play! If you’re ready for email sanity, head over towww.sanebox.com/100mba to try SaneBox free for two weeks, with no credit card required. Plus! Our friends at SaneBox have offered The $100 MBA Show listeners $25 off a membership— the deepest discount you’ll find anywhere! Postcards, brochures, flyers, business cards and more for every marketing need. 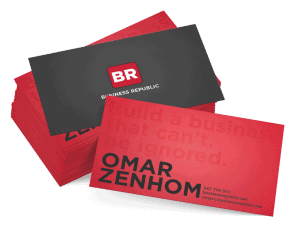 Just enter the coupon code "MBA" at checkout and get 500 business cards starting at just $9.99. That's up to 50% off the regular pricing! So visit Vistaprint.com right now! « Previous Post MBA342 The Power of Being Nice Plus Free Ride Friday! Next Post » MBA344 Q&A Weekends: How do you handle non-responses to those you reach out to?